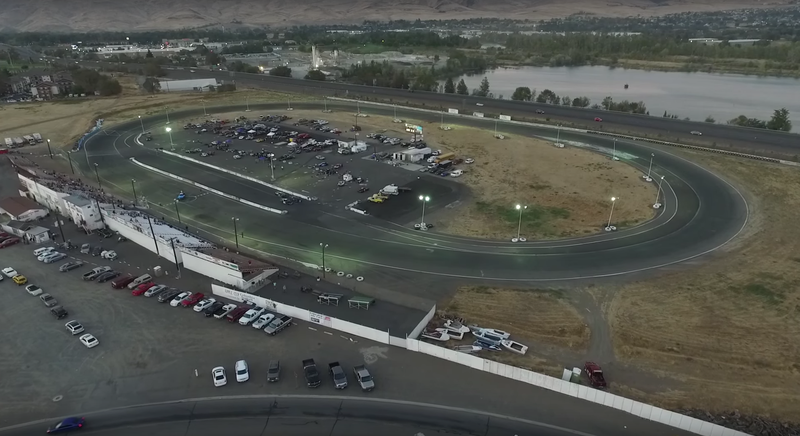 Yakima Speedway, a half-mile paved oval in central Washington, will be paved over and replaced by a hotel, offices, shopping and an ice-skating rink after nearly 60 years in operation, according to the Seattle Times. Good. What the world needs more of are hotels, offices, shopping centers and ice-skating rinks, not race tracks. The track’s owner for the past 51 years, Ted Pollock, told the Seattle Times he’s getting old and his interest in racing is on the decline. For that reason, he said, it’s “time to get some other use out of it.” The Times reports that the property went for under its asking price of $10.1 million. Thus, the 46-acre property along the interstate will become a hotel with at least 120 guest rooms, an office tower, shops, restaurants, condos and an NHL-sized ice arena. A racer and former winner at Yakima, Owen Riddle, told the Times its closure could choke dreams of racers who can’t afford to race in bigger markets like Seattle until they’ve established themselves and found sponsors in Yakima. But that doesn’t matter. We need more shopping centers and hotels so that people can drive past them while congratulating themselves for using Amazon and Airbnb instead. Plus, we hear the tickets at Yakima were too much to watch a bunch of silly cars race anyway. We do this to ourselves, everyone.